This year’s Farwest Show afforded UpShoot multiple opportunities to put the spotlight on our new plant introductions. 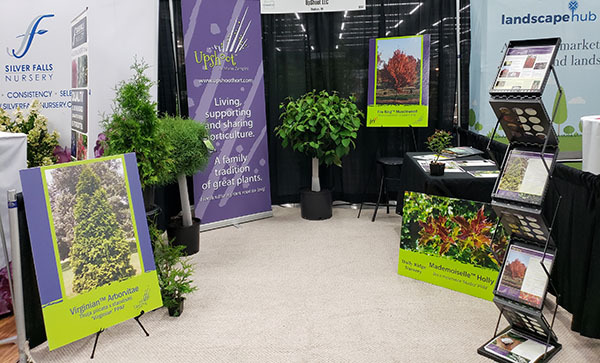 Thanks to grower partners Silver Falls Nursery and Van Essen Nursery for providing plant material for our booth and bringing our posters to the show so we could specifically feature Sharon Kay Viburnum, Mr. Bowling Ball and Virginian Arvorvitae, Mademoiselle Holly and Fire King Musclewood. The top grafted Mr. Bowling Ball in our Farwest booth from Van Essen Nursery, as well as the limbed-up Sharon Kay Viburnum, caught the eye of many an attendee including Christina Salwitz, who is also known as The Personal Gardening Coach. She is also one half of the Fine Foliage duo with Karen Chapman. 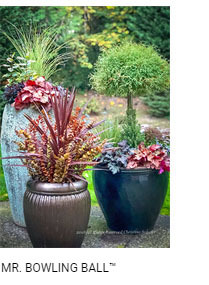 Just look at the mixed container trio she was inspired to create for one of her clients featuring Mr. Bowling Ball! I’ve often praised Snow Fountains® Weeping Cherry for being a tree that has multiple uses in the landscape, but when it comes to evergreens, Mr. Bowling Ball is similar in that it can be used in a multitude of ways such as a single shrub, in mass plantings, sheared as a small hedge (can you say “replacement for boxwood?”) and top grafted too! Due to a grower request, we recently created a new flyer for Mr. Bowling Ball. Find it and our other updated flyers here which you can download and use in your sales and marketing efforts. If there is a flyer you’d like for a particular plant and we haven’t created it yet, let me know so we’ll move it up the to-do list! 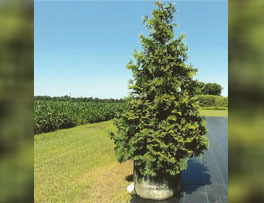 Virginian Arborvitae was not only featured in the Farwest UpShoot booth, but was also an entrant in the New Varieties Showcase. It’s not easy being green, especially when you are amongst flowering shrubs and perennials, but it was still a standout with attendees. 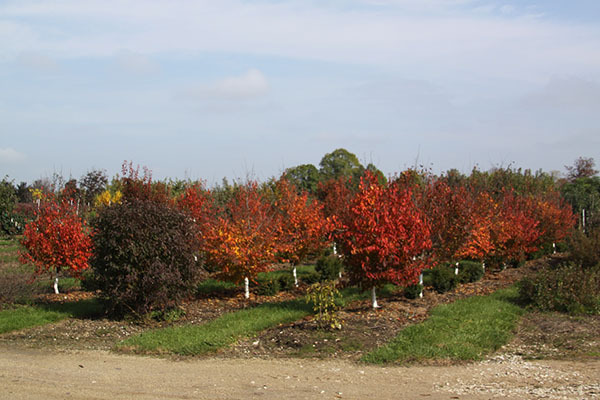 From plantsman Frank Case of Plantation Springs Nursery, Virginian is an improvement for both growers and consumers. Compared to Green Giant it produces a thicker and full liner but grows just as fast as Green Giant. From the consumer end it will maintain a smaller mature size. If interested in liners, reach out to Anthony at Silver Falls Nursery in Salem, Oregon. This winter Sharon Kay Viburnum from Greg and Sharon Fuhrer of Locust Grove Nursery will be on the Fashion Runway in Kansas City, Missouri at The Western (January 16-18). Our sponsor is Van Essen Nursery, who is exhibiting in booth 210. This dark leaved Viburnum blooms with large white flowers late spring but will rebloom too! We’ve had it rebloom in the summer and in the fall in our show garden as has Van Essen in Oregon. 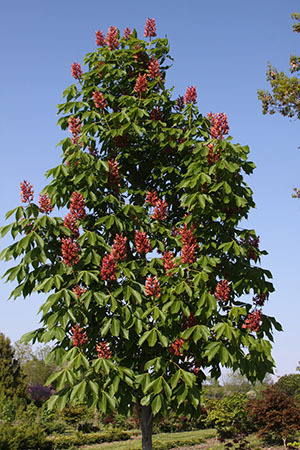 If interested in adding this woody to your lineup, reach out to Van Essen for liners or shoot me an email for a license to propagate. MANTS – You’ll find me in the HIP Labels booth 1302-04 or walking the trade show floor at the MANTS Show January 9–11 in Baltimore. I’m happy to set a time before, during or after the show to meet and talk new plants. Just let me know a day and time you’d like to meet by emailing me. Green & Growin’ – UpShoot will be exhibiting at the Green & Growin’ Show in Greensboro, North Carolina January 14–18 in booth 641. As usual, our special guest will be Phil Dark of Oakmont Nursery in Siler City, NC. 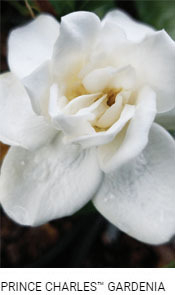 Phil is the breeder of the brand new Prince Charles Gardenia and Crown Jewel Gardenia as well. Let me know if you’re interested in growing or testing Prince Charles. Better yet, stop by the booth to see it in person and talk to Phil about this nonstop flowering selection; no really, it does not have the typical flowering down time you see in other gardenias on the market. 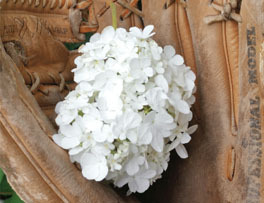 We’re proud to work with breeder Mike Yanny of JN Plant Selections. 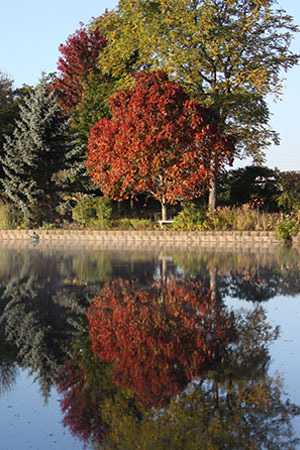 No doubt you’ve heard of his Firespire and Fire King Carpinus. Growers can’t seem to produce these fast enough to meet demand for these selected natives (hint: if you’re not growing them you should be as current growers sell out of this natives). Mike has a few other new intros that you may not be aware of but we think you’ll want to know about and consider adding to your production plan. 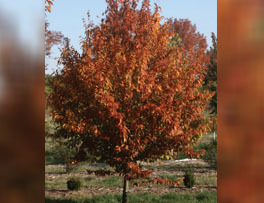 There is also Wisconsin Red, a seed grown Carpinus with striking red/orange/yellow fall color. 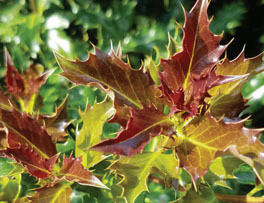 It is exclusively available through Heritage Seedlings. 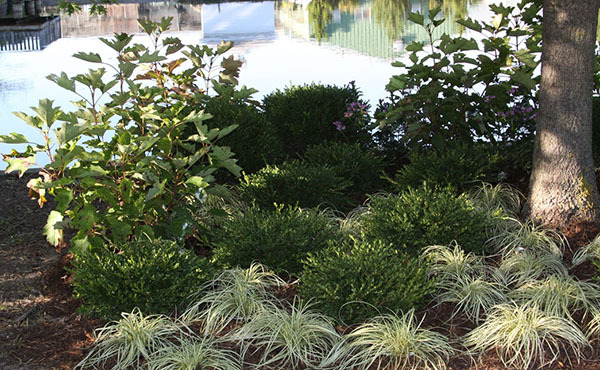 Last but certainly not least, Mike is ready to debut Flat-tery™ boxwood which liners are just now available exclusively through Silver Falls Nursery in Salem, Oregon and Richey Nursery in Spring Lake, Michigan. Just as you would expect by the name, Flat-tery has a slightly domed but mostly flat-topped shape. It stays in its juvenile phase longer than most boxwood which means fewer fruit pods and a good, green winter color compared to other boxwood. It grows to a finished size in about the same time frame as Green Gem or about a year behind Green Velvet.